Steam recently offered a free weekend play of Cities: Skylines, so I gladly took up the offer. Long story short, a few nights of sleep deprivation later, I had some thoughts and tips on what to look out for as a new beginner to this game. Seriously, I mean it. Close this tip page and come back after you have tried the game. Cities: Skylines can be overwhelming and everything that you read beforehand will likely be forgotten or not make sense to you before your first game. I suggest getting your hands dirty, have a general feel of what is going on, before reading up on tips and guides to better understand some of the nuances and game play. While I suggested not to bother with restarting/reloading at the beginning, a little initial planning still goes a long way. 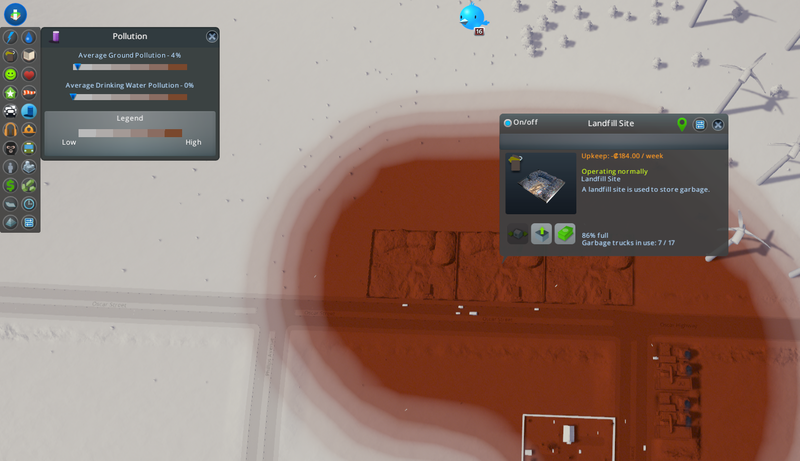 I don’t think I need to say much about water drain pipes and water pumping stations, since the game already suggests common sense placement or risk having your citizens becomes sick drinking sewage. I do want to stress the importance of planning where to place your landfill sites and cemeteries so that you do not have to move them later. Landfill sites create pollution and you would want them as far away as possible from your residential areas. Save yourself the headache of having to move the garbage site by visualizing where your residential areas will eventually expand to. This is because moving landfill sites, as well as cemeteries, requires the structure to be empty, which can only be done by emptying to another landfill site or cemetery respectively. Just like in real life moving things takes time, in the game when you want to empty the structure, the garbage trucks and hearses will take time to relocate everything. 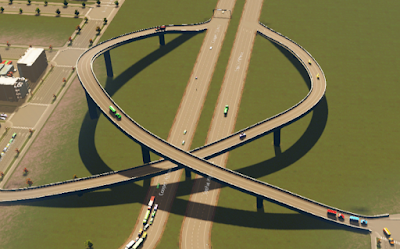 This also results in extra traffic on the roads if your source and destination structures are too far apart. One thing that confounded me initially and shown in the pictures below, was why when building a new landfill site, the potential pollution area (in purple) shown during the placement does not seem to tally with the Pollution info view, once the site is up and running. It turns out that there is a pretty logical explanation for this phenomenon in Cities: Skylines. Selecting the landfill site shows that it was lightly filled (11%). As time goes by and the landfill site gradually fills up, the pollution level increases and polluted area becomes bigger and more intense. 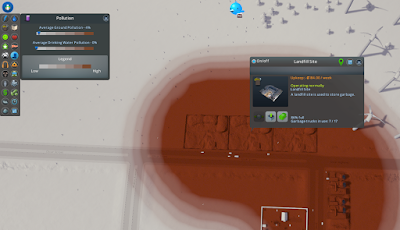 I also chose to relocate the sites because of the pollution preventing my town expansion. So, pay heed to the pollution circle indicated by the game, as it will come back to haunt you down the road if you have not considered it during placement. Another tip is to keep your landfill sites filled at about same level. This is because once a site fills up, it will not take in anymore garbage and its vehicles will not drive out anymore. So when you build a new landfill site, do some re-balancing of garbage from other sites. Keeping each site from hitting 100% will ensure all available vehicles continue working. This applies to cemeteries too. Wind is a renewable and clean source of energy. Your citizens will love you for it, giving you lots of positive tweets. However, it suffers from inconsistency due to weather conditions. Rainy weather increases wind speed while foggy weather decreases your wind turbines’ electricity production. During windy periods, you may have thought that your city’s electricity needs are well covered, only to be suddenly hit by citizen complaints for lack of electricity during lull wind periods. So you may want to cater far ahead of demand by building more wind turbines if you intend to go fully green, at least until dams become available. In the Wind info view, you can see how the Wind strength of your landscape, the darker blue it is, the stronger the wind. It seems though that not all 8MW areas are created the same. The higher areas generally generates experiences more consistent wind than lower lying areas. You can use the Terrain Height info view to see the which areas of your landscape are taller, and try to locate your windmills there. For example, I initially built my windmills at the bottom, but after realizing the two hilly areas on top had more consistent wind, I started building more there. At the same time, locating your wind turbines in the middle of the highest wind area, rather than near the edges where wind speed starts to drop off also seems to help in ensuring your windmills produce at max efficiency more often. Spacing out your wind turbines is also useful as clumping together affects the wind available to each turbine and reduces the max production per turbine. If you have a few source areas producing electricity, you may be surprised to receive no-electricity complaints even though the Electricity info view shows electricity production far ahead of consumption. The reason is likely because different areas of your city are connected to different electricity production sources and they are not fully connected. So one area might have experienced a drop in electricity production or rise in electricity consumption and the electricity production does not meet the demands. The way around this is to ensure your city area is fully and continuous blue covered when in Electricity info view. Standalone island of blue is a sure sign of lacking well connection. You can use power lines to connect two disparate electricity grids. 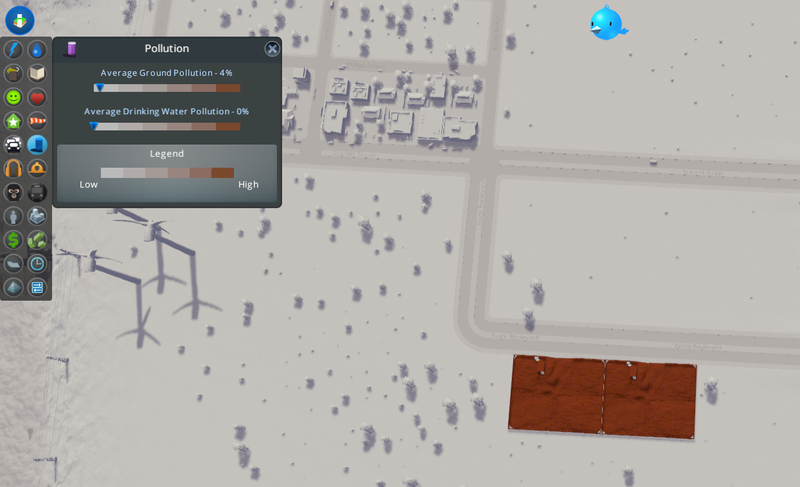 In the beginning, you may need to stretch the power line all the way from the electricity production source to your structures and find that it spoils your city view. However, as your city expands, new buildings and structures will also expand the electricity coverage, so you may be able to gradually tear down some of these towers. For some reason, I have noticed that buildings and structures on slopes seem to have a larger coverage than those on flat ground. 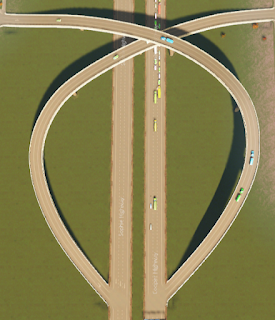 After a while playing Cities: Skylines, I decided to try my hand in making some nice road structures. Three hours later and with lots of frustration and tears, I was quite happy with my first creation, I finally managed to get the curves and cross in perfection. The last half an hour figuring out that I can actually just build the same way I did with the lower curve, and change the road direction with the upgrade button. And then it was at this point that I realized I should created my road structure in Asset Editor rather than in-game, so that I can reuse it again easily. So if you decide to get your hands dirty, Asset Editor is your go to friend. 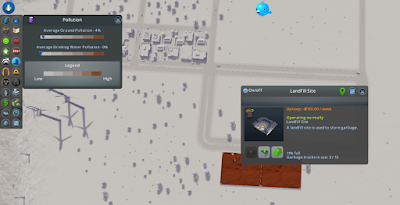 In the Natural Resource info view, you can see the resource types (oil/ore/forest/fertile land) available in your current controlled land areas. You can leave things generic, i.e. not assigning the specialization and the industrial buildings will just be generic. If you want to see specialized industrial buildings, use the District tool to “paint” an area first. Next, assign the district with the specialization associated with the resource type available there, for example an agricultural specialization. Then, when you zone industrial buildings, you will see farms and related industrial buildings like bakeries sprouting up. It should go the same for other resource types, although I only managed to try forest and agriculture specializations in my game. I did noticed though that the industrial buildings in my forest industrial zones were growing their own trees rather than using what is available on the land. 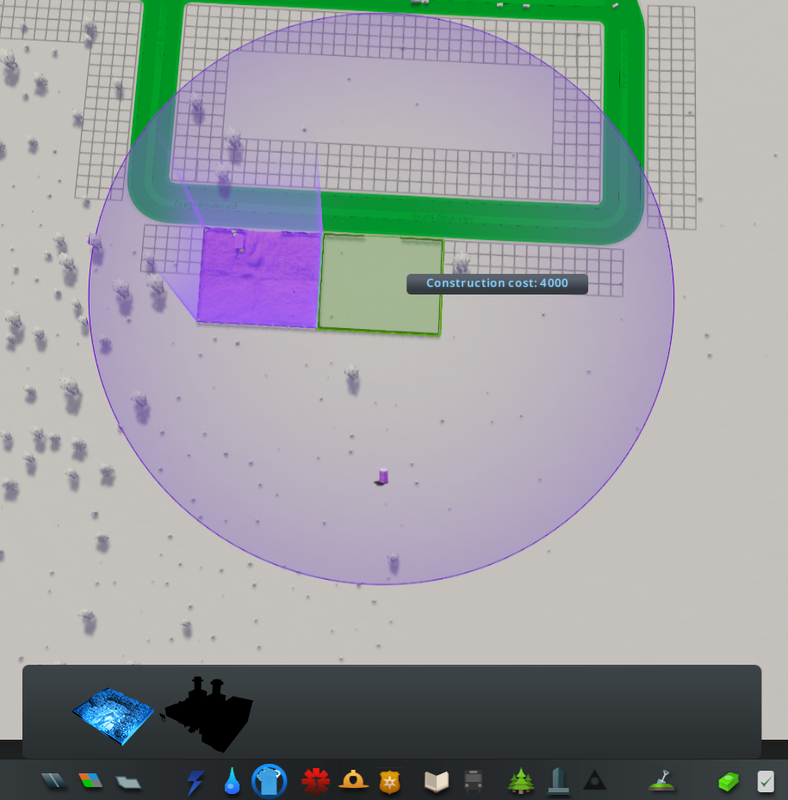 School structures differ a little depending on the map, but in Cities: Skylines, there are generally three education tiers:Elementary School, High School and University. At the start, other priorities may tie up your funds and delay setting up school buildings. This is not a major issue because most industrial buildings at the start only demands uneducated workforce. However, as the subsequent education structures are unlocked, your industrial overlords will start demanding more educated workforce. Remember, one of the game tips says education takes time. So you are only given just enough time between structure unlock till the complaint tweets start coming in to upgrade your workforce. If by the time you start seeing many icons for educated workforce popping up and you have yet to set up your higher education system, then be prepared for a mass of abandoned industrial buildings. Sometimes you get a citizen complaint for no electricity or water. When you click on the tweet, you find that person is staying in a place already covered. Well, it could actually be that new park or unique building that you just setup which is not covered. It seems because there are no residents in such areas, the game randomly selects a citizen to flag the issue. I find the Electricity Info view’s white background helps me to discover any abnormal icons like complaints, abandoned houses quickly. Sometimes, when you are zoomed far out, you may only see one or two complaints, but zoom in and you may see there are actually a lot of similar complains in the area. 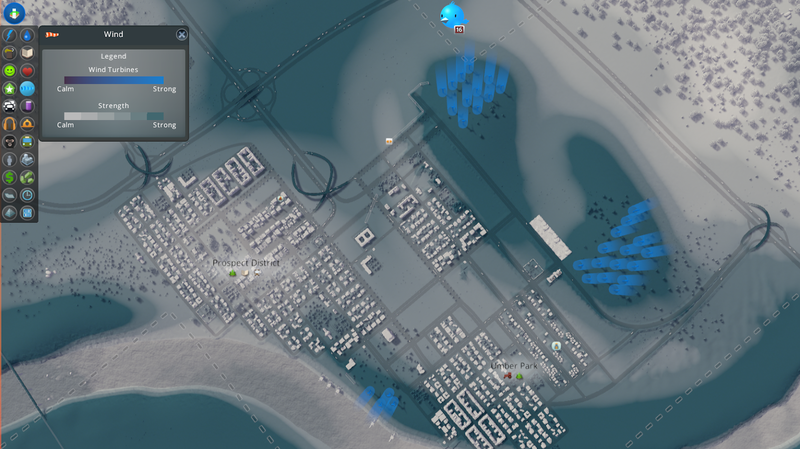 I hope you find these Cities: Skylines tips and hints useful.Like I said, it is a deep game and I probably only scratched the surface here. 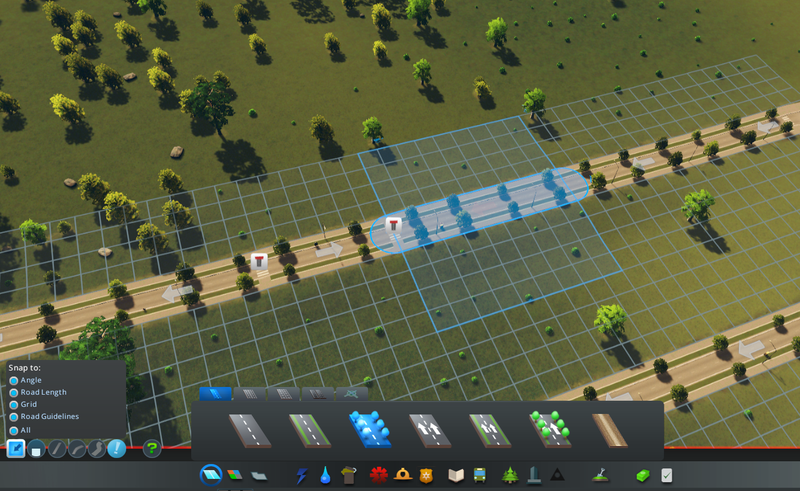 For example, I still cannot find an optimal way for handling road traffic. I will probably update this again once I clear some backlog of games and purchase the game in the next steam sale.